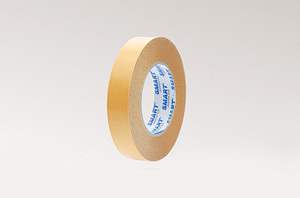 Double-sided tape with a carrier of “tissue” is a synthetic non-woven tape covered with a transparent adhesive synthetic rubber. Secured brown silicified sided paper veneer. Blends well with polyurethane foams, plastics, metal and leather.Excellent for mounting a wide variety of components. This eliminates the need for fasteners, staples or messy glues.Designed for the most demanding applications, bonding and laminating.